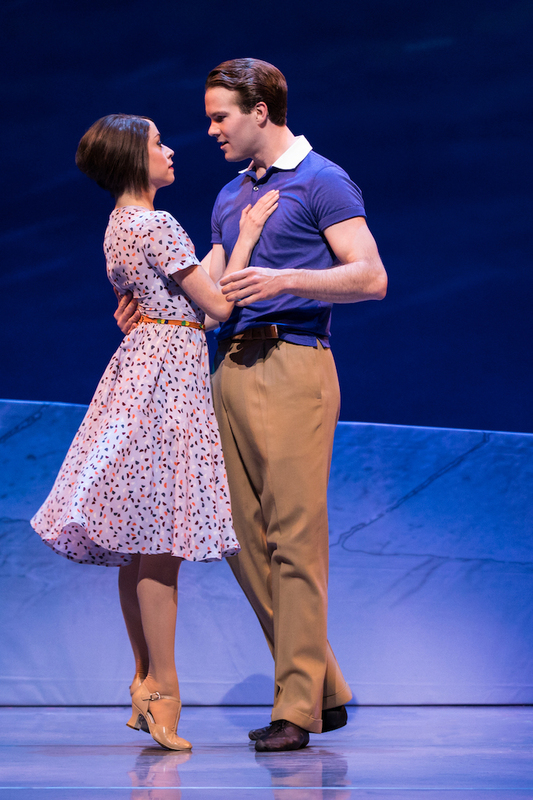 Musical An American in Paris opened at the Paramount on Tuesday night, May 9th. Gathering inspiration from the Oscar-winning musical movie of the same name, the 2015 live musical by Craig Lucas was entirely charming. 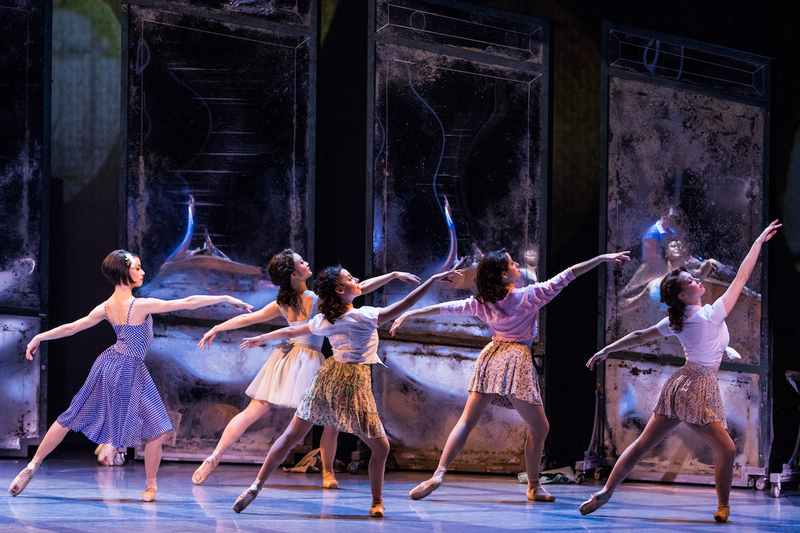 This production, directed and choreographed by Christopher Wheeldon OBE, got everything right. From the gorgeous, colorful and scene-appropriate set and costume designed by Bob Crowley, to the beautiful lighting by Natasha Katz, every element left a wonderful impression. The store where Lise Dassin works and the production of the song “I’ll Build a Stairway to Paradise” alone would make this a show I’d recommend. And the great casting? That came from Kelsey + Company and Rachel Hoffman, C.S.A., who cast the principal roles with scene-stealing actors. Although this could have been a problem, the actors were great enough to work as an attractive ensemble. I actually forgot I was watching a play at times, really feeling I was inside it. I loved the entire production, and at the end, I had that strange feeling of being sad that something is over, but happy because this was so good. 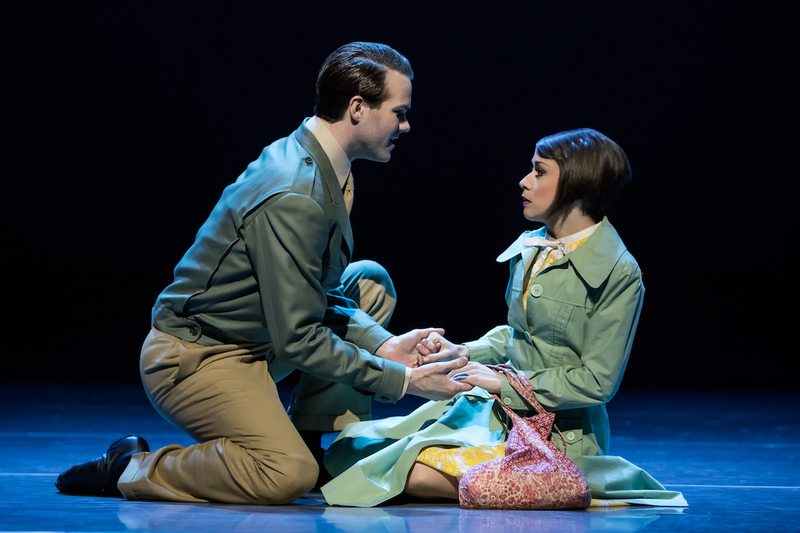 As this musical is an updated version of the original, there were opportunities to explore characters’ in some modern ways, which made a whole lot of sense. Showing respect to Jazz artists features in this aspect, while artist Mondrian’s work (who chose Paris as his home for many years) pops up in the design. Everything fit together perfectly. But don’t think that those strong themes make the experience a tutorial. I would say, not at all. While the time frame is the end of World War II, the emphasis is on embracing the positive in life. The lead actors McGee Maddox (Jerry Mulligan) and Sara Esty (Lise Dassin) make a beautiful team. For Tuesday night’s energy, I would especially say Emily Ferranti’s Milo Davenport and Nick Spangler’s Henri Baurel sneaked in wonderful supporting performances. And for the songs: Thank you, George Gershwin and Ira Gershwin. While Lucas removed some Gerswhin songs from his version, he added others; the final song, “They Can’t Take That Away from Me,” is just one of the perfect additions. 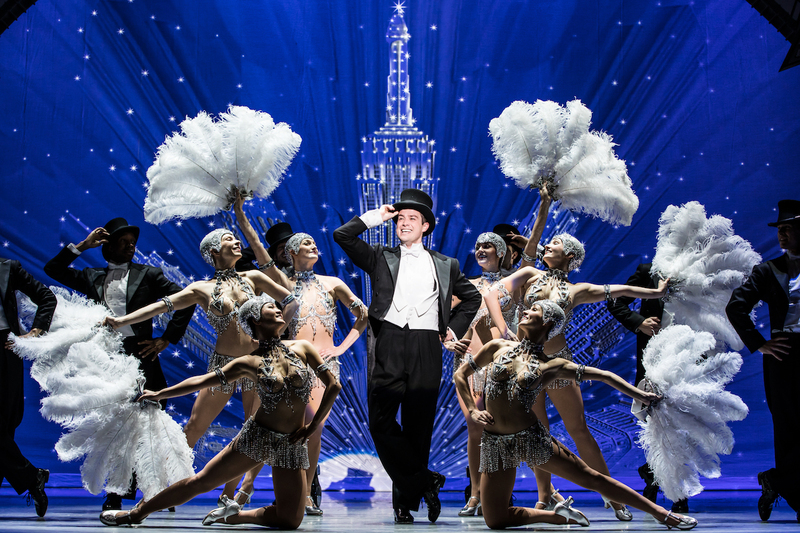 An American in Paris runs through Sunday, May 14th. Follow this link for tickets. Written by: Dagmar on 05/10/2017. This entry was tagged an american in paris, posted by dagmar. Bookmark the permalink.